Two of the three Predator figures from the Alien vs Predator Arcade Game are available now via the NECA eBay and Amazon store fronts. You can pick up the Mad Predator (eBay, Amazon) and Warrior Predator (eBay, Amazon) now. The Hunter Predator should be released on their stores soon. The figures are priced at $26.99 plus shipping. The figures began shipping to retailers at the end of December, and should hit stores within the next two weeks or so. Grab them early at the links above. Introducing a new collection inspired by the classic 1994 arcade » Continue Reading. 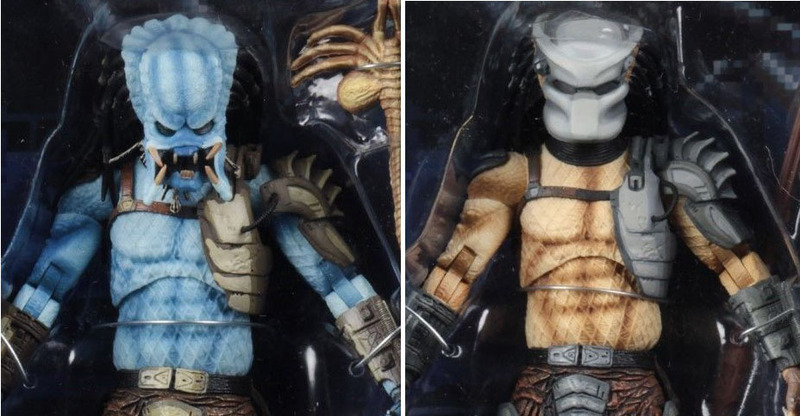 The post Alien vs Predator Arcade – Mad Predator and Warrior Predator Available via NECA appeared first on The Toyark – News.